We specialize in non standard promotional items, we have been since several years in the market. The headquarters includes the sales office, graphic departments and a warehouse to store materials and to treat the logistical needs of customers. We are here to give you what you have in mind and maybe you cannot achieve on your own. We offer a real support to your communication needs. 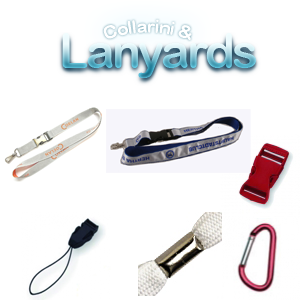 Collarini & Lanyards was founded in 2009 as a creative company. For 2015 we are evolving in order to anticipate the new needs that customers will ask us, constantly changing. This makes our efforts necessary and very important in order to give you a good product.